The Gerber Remix features a minimal design that can save you weight without sacrificing any of the strength or sharpness you come to expect from a Gerber product. 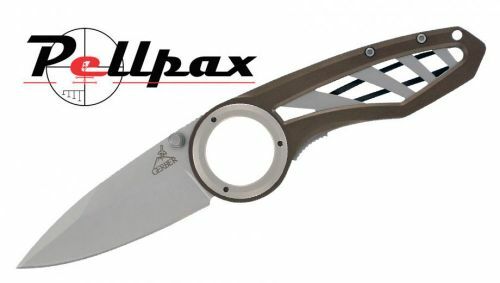 The handle itself is made from anodised Aluminium that makes the rifle resistant to corrosion and rust and is perfect for any camping or outdoors man with its razor sharp, high grade, stainless steel blade. The circular handle of the Remix provides excellent grip and security when cutting.